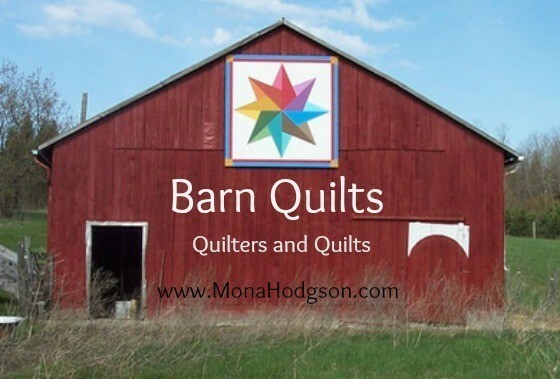 In this final week of our Quilters and Quilts Series, celebrating the release of The Quilted Heart novellas, we’ve taken a turn and headed to Canada for a look at Barn Quilts with my reader-friend, Christina Turner. I’ve said it before and I’m sure I’ll say it again, but story research is so much fun! Happy Book Birthday to The Quilted Heart omnibus! I’m celebrating the release of Dandelions on the Wind, Bending Toward the Sun, and Ripples along the Shore–3 novellas in 1 book. Here’s a peek at the inspiration behind the stories. Karen Powell is my guest today. Not only is Karen a reader-friend quilter, she is also the Assistant Manager at Crossroads Books and Coffee in Phoenix, Arizona. Last summer, for a book signing event for Prairie Song at Crossroads, Karen decorated the book table with period pieces including a beautiful quilt made by her grandmother. 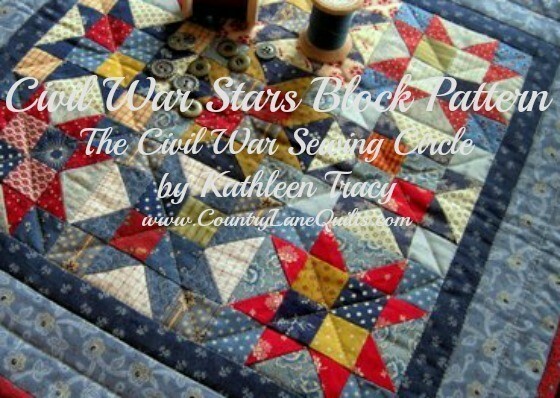 Our chat about quilting prompted me to invite Karen to participate in this Quilters and Quilts Series. MONA: How old were you when you started quilting? KAREN: I started sewing when I was ten, made first quilt when I was 20. 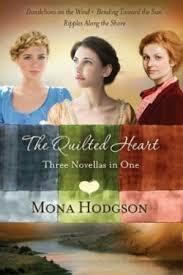 MONA: Who influenced you to become a quilter? KAREN: My grandmother taught me many things, among them was the ability to sew. MONA: What was your first quilting project? KAREN: A simple block pattern with yarn ties at the corners. MONA: How many quilts have you made? MONA: Do you have a favorite pattern? 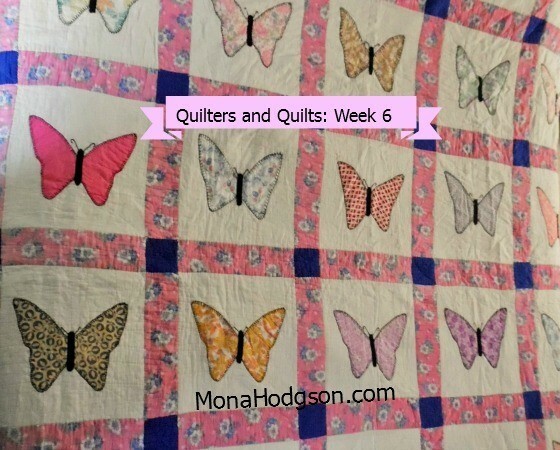 MONA: What is your favorite part of the quilting process? 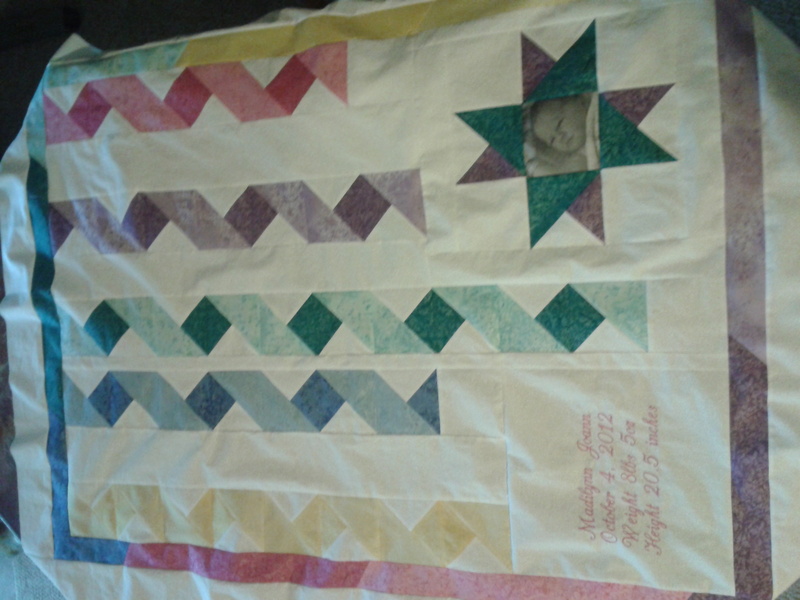 KAREN: Pinning and stitching…makes for a nice time of prayer for the recipient of the quilt. MONA: A double blessing. 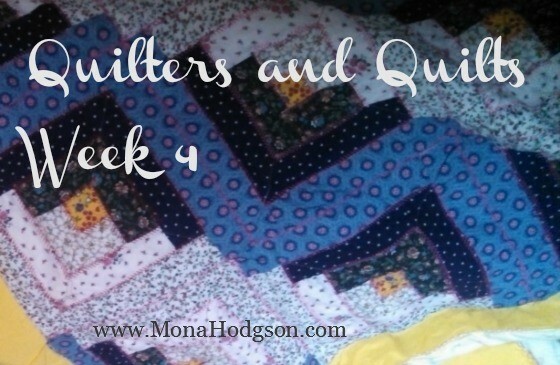 What do you do with most of the quilts you make? KAREN: Gifts, especially for weddings and babies. MONA: Have you learned any life lessons from quilting? KAREN: When we persevere in things and bring them to completion, others can be encouraged by our efforts. 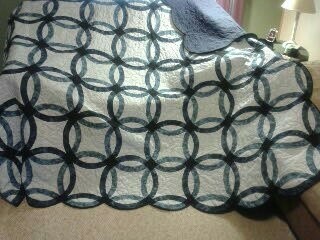 Also, I have learned to balance work and rest (for me quilting is a nice way to rest). MONA: Good lessons. What bit of advice would you give someone who wants to start quilting? KAREN: Give yourself grace and have fun. MONA: Good counsel, Karen. Thanks so much for sharing your quilting story. 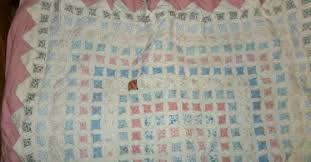 Have you ever made a quilt for a wedding gift or baby gift? 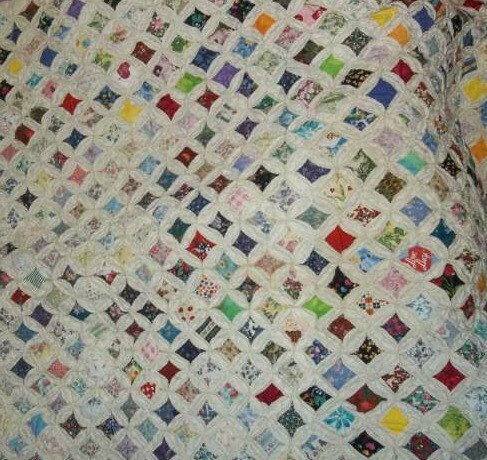 Or received a quilt as a wedding or baby gift? What pattern? GIVEAWAY: While supplies last, receive a FREE sampler quilt kit when you come to celebrate the release of THE QUILTED HEART novellas. Quilting is a form of storytelling. 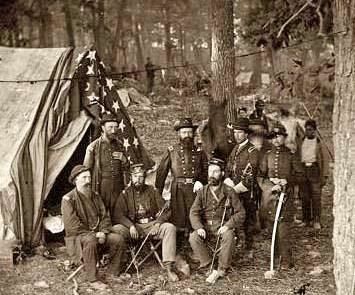 I love that about quilters and quilts. Storytelling in the design, but also in the process of quilting. 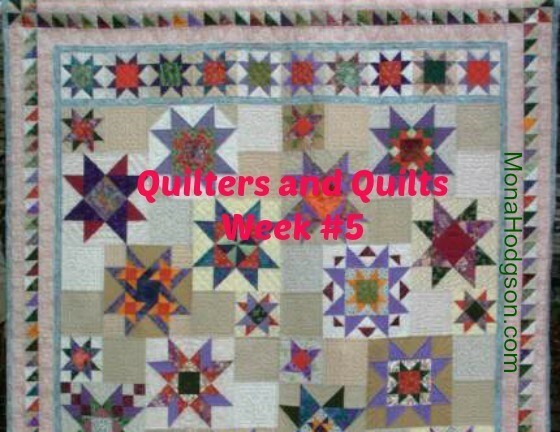 And I’m excited to introduce you to my reader-friend, Amy Campbell, and share her story in this sixth week of the Quilters and Quilts Series. 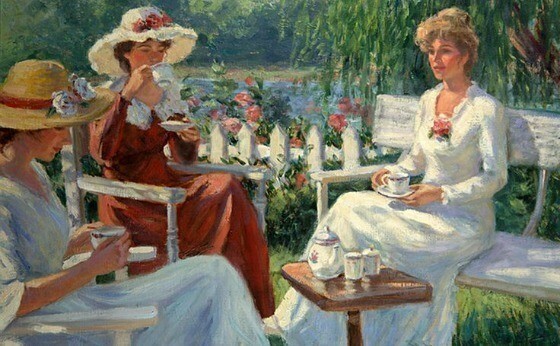 MONA: Who inspired your love of quilts and quilting? A very sick baby boy. A mother’s desperate prayer. 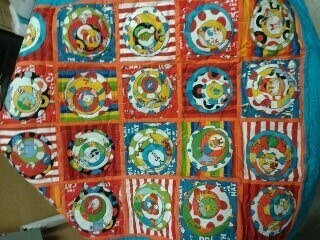 A church quilting circle. 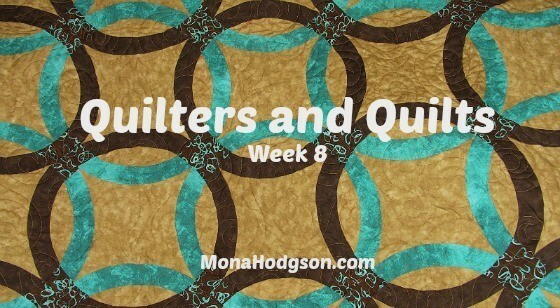 Thank you all for a great response to the new Quilters and Quilts Monday Blog Series. 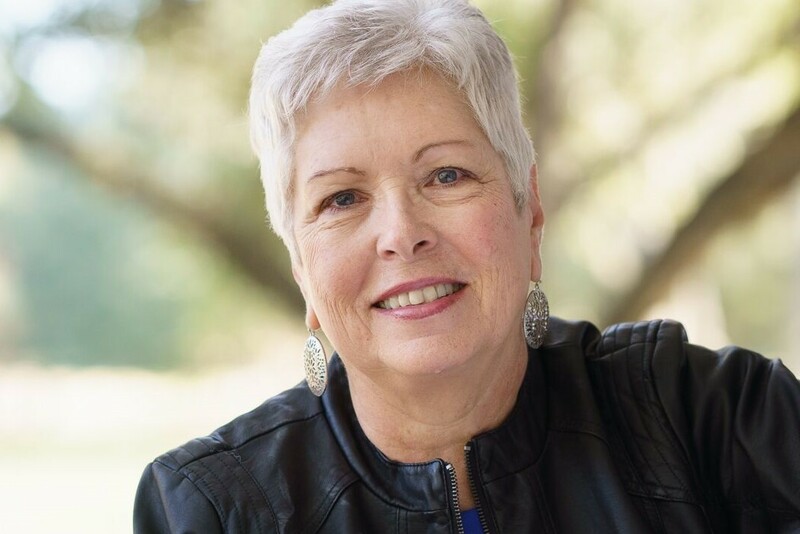 Week Two features my reader-friend, Kristine Morgan, also a member of the Book Launch Team for The Quilted Heart novellas. MONA: Kristine, who influenced you to become a quilter? KRISTINE: My mom and my sister both quilt. My mom made these two quilts, one for each of my daughters when they were born. 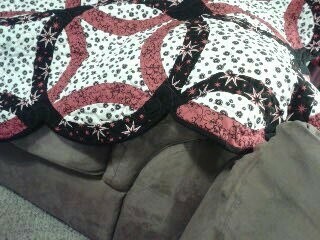 Several members of my family have quilted or do quilt. My Grandma Irene Shindlebower and Grandma Mabel Gansberg, my Sis Linda, and others. Quilting is one of those historical, generational skills and art forms that delight and fascinate me. 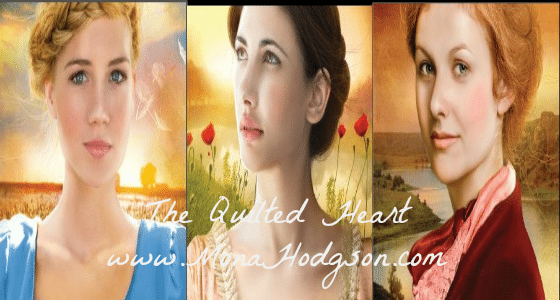 In anticipation of the January 21st release of The Quilted Heart, three novellas in one book, I’m starting a Quilters and Quilts Series, which will feature a guest quilter and quilts every Monday through the months of December and January.